Spring Pressure: 50 lbs. (Standard) 100 lbs., or 300 lbs. 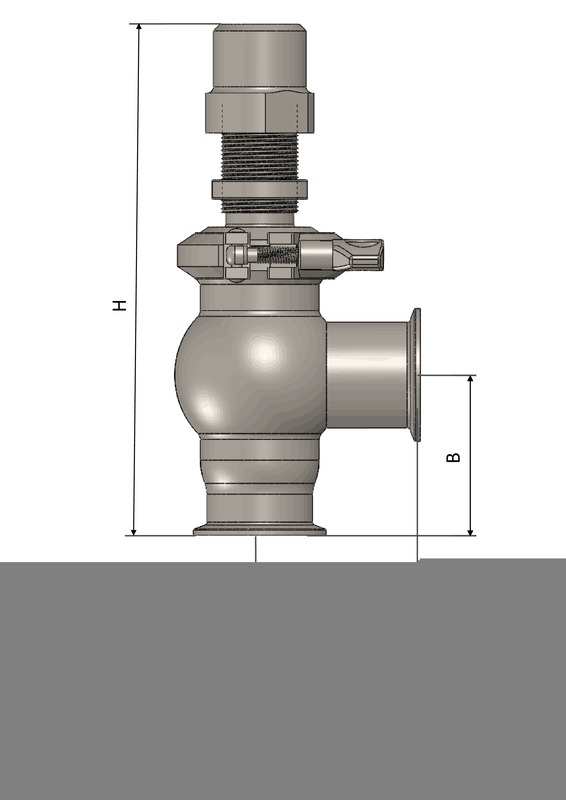 When the need arises for sanitary piping relief and protection, Sanitary Solutions suggests using T316 Clamp Style Manually Adjustable Pressure Relief Valve. 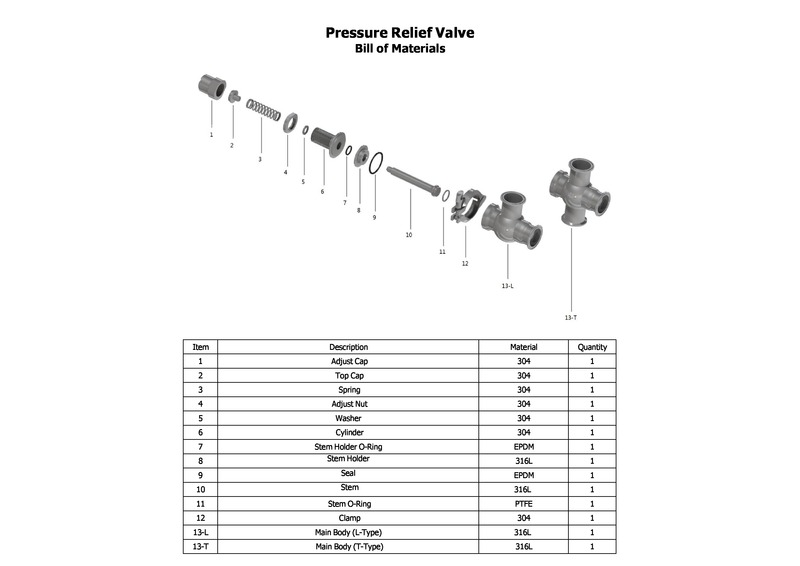 Our "L" Body or "T" Body Manually Adjustable Pressure Relief Valves are in stock and offer a lockable cap so you can adjust the relief pressure setting. Sanitary Solutions stocks a 0-50 psi spring as a standard and can supply you with either a 0-100 or 0-300 set pressure range to achieve the desired setting without compressing down the spring to a stack height. Please remember, that as you tighten down the adjustment to its maximum then you will limit the valve stroke. 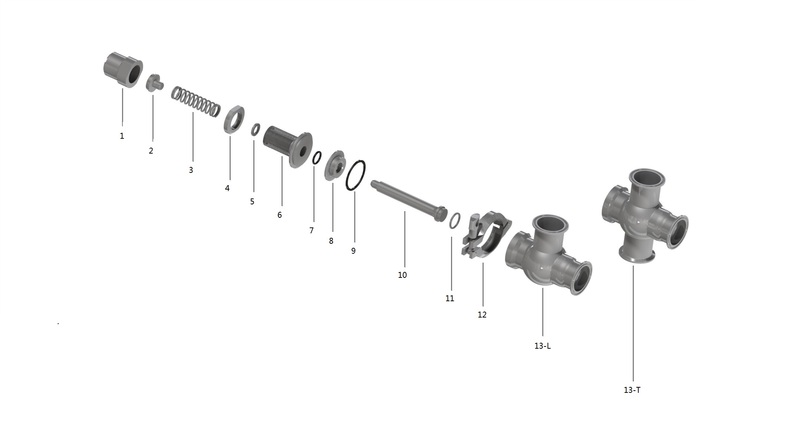 Our valve interchange with many of our competitors in the sanitary stainless industry. REMEMBER: Vent the line to relieve line pressure and drain the pipe before you service! 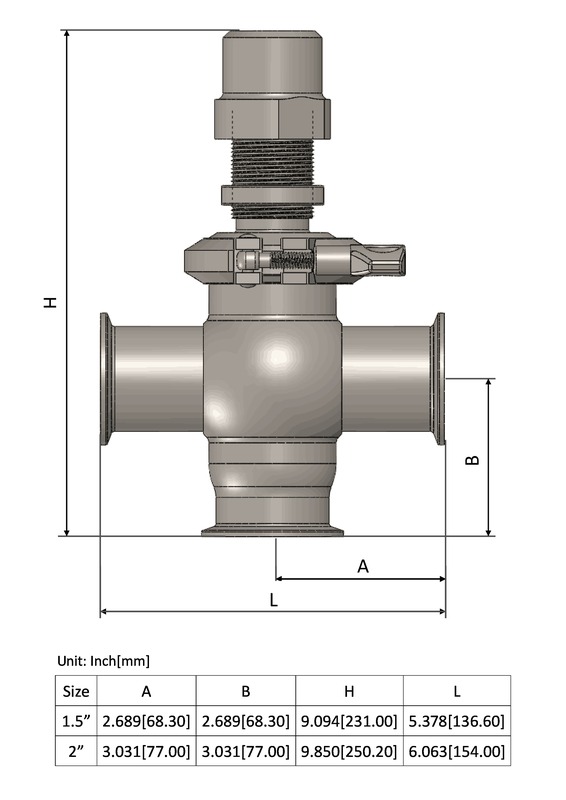 When the need arises for a T316 Clamp Style "L" Body or "T" Body Manually Adjustable Pressure Relief Valve in 1.5" or 2" sizes, please remember to call our sales team at 1-888-909-3569 or 1-855-640-7871 to check stock or answer any questions concerning these valves.